Shopping for a new thermostat for your home? Need help deciding which boiler or circulator pump will work with your system? Use our buying guides to learn more about what specifications to look for and the role of different components in how your heating system operates. The number of stages refers to the number of heating or cooling sources that may be controlled by a single thermostat. For example, if a system contains baseboard heat, a hot air system, and air conditioning then there are two heating stages, and one cool. In this example, a thermostat that can control two heat sources and one cool source should be selected. It is important to note that if you have auxiliary heat (or backup heat), that counts as a second heating source. Number of stages may be written in several different ways. The two most common are 2H/1C or 2 Heat / 1 Cool. These mean the same thing — that there are two sources of heat and one source of cool that may be controlled by this thermostat. Number of stages can vary from single heat or single cool all the way up to 4 Heats and 3 Cools on one thermostat. In order for the wiring to work properly, you must purchase a thermostat that accounts for the number of heating or cooling sources present in your given space. 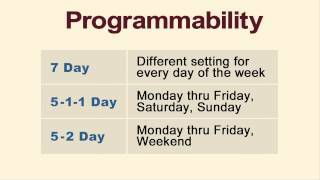 Programmability refers to the level of control a user can have over the system. Programmable thermostats allow you to set the heating or cooling system to turn on or off at certain times of the day or on certain days of the week at different temperatures. A 7-day programmable thermostat may have a distinct time and temperature setting for each day of the week. Other common types of programmable thermostats include the 5-2 and 5-1-1 which allow one weekday setting and one (for the 5-2) or two (for the 5-1-1) separate settings for the weekend when the hours spent in that room will likely be different. A non-programmable thermostat's settings must be manually changed for temperature and on/off functionality of heating or cooling sources. Due to the level of control with a programmable thermostat, these units are highly energy efficient and allow you to save money on heating and cooling bills. For example, if no one will be in a given space from 9am to 5pm, a programmable thermostat can be set to turn off at 9 am and turn back on at 4.30pm so the space reaches a comfortable temperature for when you return. In contrast, a non-programmable thermostat may either be left on during this time period, wasting energy and money, or off, meaning that you get home to an uncomfortably hot or cold room. Thermostats vary by the different types of heating and/or cooling applications they control. Because there are many different heating and cooling sources it is important to make sure the thermostat you purchase can operate the type of heat or cool source you will be using. For example, some thermostats can handle a heat pump system while others cannot. If you have a heat pump system, it is important to purchase a thermostat that specifically states that it can be used with a heat pump system or your thermostat will not work properly. The same logic applies for electric heat, millivolt, and other systems. User interface refers to the way in which a person interacts with their thermostat. Thermostats may be mechanical with a simple dial, digital with buttons to move the temperature up or down, or feature a touch screen. As thermostats move from mechanical to touch screen, they tend to get more complicated in terms of functionality and operation. Touch screen thermostats are relatively new, but are quickly gaining in popularity. An example of a touch screen thermostat is the Honeywell TH8110U1003. Some thermostats offer features that are specific to that thermostat. These features may include sensors (indoor, outdoor, remote...), humidification control, and password protection. If you need one of these features, be sure to check the product description to see if it contains the given feature. Thermostats can vary in color. The most common color for thermostats is white, but many thermostats are off-white and other colors may be found. Thermostats may be mounted horizontally or vertically. This is generally decided based on either a preference in the way the thermostat looks or space constraints. Several models of thermostats may be purchased in vertical or horizontal mount. Thermostats run on either line voltage or low voltage. The easiest way to tell if you need a line or low voltage thermostat is to look at the wire. If it's a very thin wire (like a doorbell or speaker wire), you'll need a low voltage thermostat. If it's a heavy wire, you'll need a line voltage thermostat. There are several manufacturers of thermostats available to consumers today including Honeywell, White Rodgers, Robertshaw, Lux, Wirsbo, and Tekmar. While Honeywell thermostats are the most recognized and the best-selling brand of thermostat, all of these manufacturers are large companies that produce high-quality products and stand behind them. There are many different things to think about when purchasing a new boiler for your home, including fuel source, water vs. steam, BTU requirements, efficiency, using the boiler for domestic water, and brand. This buying guide will help to ensure that you find the right boiler for your application. Boilers come in steam and water varieties. In hydronic heating systems, water is used to heat a house and a water boiler should be purchased. In steam heating systems, steam is used to heat a house and therefore a steam boiler should be used. The majority of the country utilizes water boilers, however some cities such as NY do have a lot of steam heating systems. The first thing to think about when selecting a boiler is fuel source. Boilers are made to use a variety of fuel sources including natural gas, oil, propane gas, electricity, and wood. It is important to select a boiler with the correct fuel type. 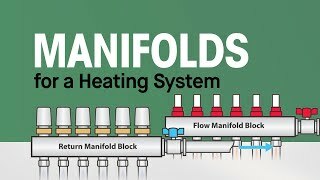 If you wind up with a boiler that does not use the fuel type you have, you may be able to get a conversion kit that usually costs between one hundred and three hundred dollars, if not you will have to return the boiler. 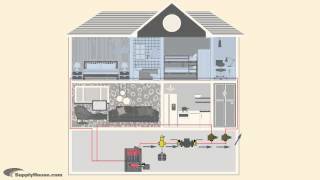 Boilers vary significantly in terms of the BTU output that they produce. Boilers can produce as little as 50,000 BTU's. It is important to size your boiler properly to ensure that the boiler can produce enough heat, but is not so oversized that you are wasting money on the price of the boiler and future energy consumption. You may want to oversize your boiler by 10% or so to make sure that you have enough BTU's to completely heat your house on the coldest winter days. To figure out the amount of BTU's required, you will need to know the total heat loss and outside design temperature for your house. When purchasing a modulating boiler (a boiler that can produce heat at a different range of BTU's depending upon what is required at a given time) be sure that the top of the BTU range meets your worst case BTU requirements. When selecting a boiler use the Net IBR rating in BTU/hr. The net IBR number is the net BTU's the boiler can produce. For replacement boilers, if your previous boiler was sufficient and worked well you can simply replace the existing boiler with a new one that has the same BTU capacity. As many of you know, "green" energy efficient products are rapidly growing in popularity. Energy efficient boilers can save thousands of dollars in energy bills while helping to conserve the environment. New boilers are in general going to be more energy efficient then boilers that were produced 20 years ago. High efficiency boilers that are condensing and modulating may have energy efficiency ratings around 90%. Traditional boilers have energy ratings around 80%. The reduced fuel consumption with high efficiency boilers is significant. This longer term cost savings is a good reason to pay more up front for a better rated boiler. Some boilers can also be used for domestic hot water (DHW). This can be accomplished in several ways. 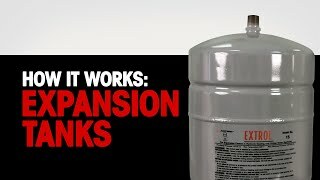 Boilers may come with an optional tankless coil, an indirect water heater may be purchased with your boiler to provide DHW, or a heat exchanger can be used. There are many different brands of boilers available on the market today. These include Buderus, Burnham, Lochinvar, Triangle Tube, Viessman, Weil Mclain, and many more. When purchasing a boiler, be sure to select a reputable manufacturer and check the manufacturer's warranty. 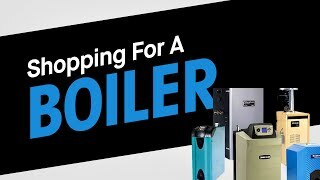 All of the boilers sold on SupplyHouse.com are from large and reputable manufacturers. Think of a boiler as the engine for heating your home. Your boiler is a big investment and it is important to get all of the proper information when making a selection. Make sure to select an installer that has worked with and is knowledgeable about the brand of boiler you choose. Often times a manufacturer will list these installers in the contractor locator section of their website. There are several factors to consider when purchasing a circulator pump. These include Horsepower, flow rate & head loss, material, connection method, features, and brand. Horsepower or HP refers to the strength of the motor in a given pump. Horsepower is one of the most important considerations when selecting a circulator pump. A pumps' horsepower may vary from 1/40 HP for small pumps to several horsepower for large commercial pumps. Horsepower directly affects the flow rate and head loss characteristics of a pump. Only within the same brand does higher horsepower indicate a more powerful pump. For example, a Taco pump with 1/6 HP does not necessarily have the same level of power as a Bell & Gossett pump with 1/6 HP. When comparing pumps from different brands, you must consider both horsepower and RPMs to choose a pump with the appropriate power based on gallons per minute (GPM) and head loss of your system. The flow rate of a pump is defined as the gallons of liquid a pump can move in a minute (GPM) given a certain head loss pressure. The appropriate pump will be able to reach the required flow rate while overcoming the systems' head loss. A pump curve, which displays head loss figures on the y-axis and flow rate on the x-axis, is commonly used to find the correct pump. Circulator pumps may be constructed out of cast iron or bronze. Cast Iron pumps, such as the Taco 007, are the most common in heating applications where oxygen-barrier PEX tubing is used. With no oxygen barrier in the tubing, bronze pumps may be required in heating applications to prevent rusting. In plumbing systems, bronze or stainless steel pumps must be used. The most common way to connect a pump is with flanges. Flanges are used to make a threaded or sweat connection between a pump and the supply pipe leading to it. Common sizes of flanges are 3/4", 1", 1-1/4", and 1-1/2". Cast iron and bronze flanges are available and should be purchased to match the material of the pump being used. Recent innovations in flanges include shutoff valves and drains. These types of flanges may be purchased to ease installation, but are not required. All major pump manufacturers make flanges along with Webstone, a leader in flange production. Pumps may also be connected using sweat or threaded connections. The pump will specify if it may be connected in this manner. Circulator pumps may come standard or with several additional features. The two most common features are an integral flow check (IFC) or variable speed. The Taco 007-IFC is an example of a pump that comes with an integral flow check. The placement of the flow check in the pump ensures that it won't be needed elsewhere in the system. A variable speed pump such as the Grundfos UPS-15-58 has the ability to operate at several different speeds. These pumps are commonly used in radiant heat systems. There are several major companies that manufacture circulator pumps. The leading US manufacturer of pumps is Taco. Taco Pumps have become the industry standard, and there are many different models available. Grundfos is another major brand of pumps. Grundfos pumps have become increasingly popular with the introduction of their 3-speed pump. Other brands of circulator pumps include Bell & Gossett, Armstrong, & Wilo.